Thanks to Jim Mitchell for the scan of the news articles and the image of James Bourne Mitchell’s portrait. Below is my transcription. Founders Day at Missouri Valley College was observed yesterday, beginning in the morning at Stewart Chapel with an impressive program in honor of the Rev. 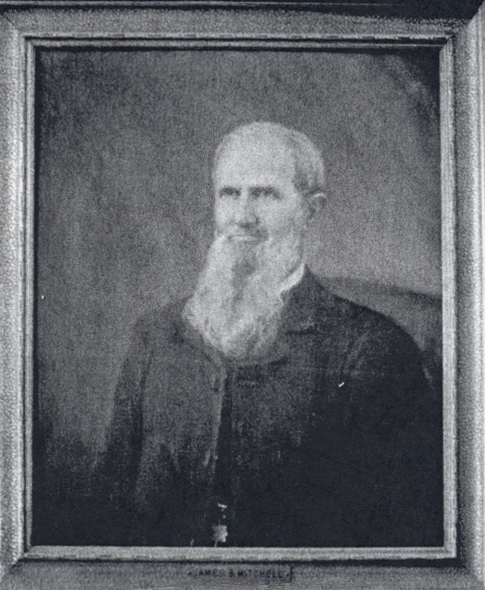 James Bourne Mitchell D. D., who for many years was president of McGee College and then was very influential in the building of Missouri Valley. Dr. L. N. Evrard of the faculty of the college paid high tribute to Dr. Mitchell as an educator, minister and gentleman. In accepting an oil portrait of Dr. Mitchell for the college, Dr. George P. Baity of Kansas City, president of the board of trustees added his praise from a personal knowledge of the entire Mitchell family. President George H. Mack presided at the services. After an organ prelude by Dean Claude L. Fichthorn, of the school of music, the invocation was pronounced by Rev. B. P. Fullerton of St. Louis. Dr. Arthur E. Perry of Marshall read the scripture lesson. President Mack introduced Dr. Evrard, a former dean of M. V. C., and present head of the English department, who presented an interesting biographical sketch of Dr. Mitchell and a eulogy of his life. Beginning his Christian experience in 1836, James Bourne Mitchell definitely decided to enter the ministry and in 1841 was received under the care of a Cumberland Presbyterian presbytery, thus affiliating himself with a group in which he was a powerful figure until his death. In 1845 he was ordained to the ministry and was pastor of the Bethel church in Monroe county for several years. Cumberland leaders completed arrangements for the organization of a college in McGee presbytery to be known as McGee college. 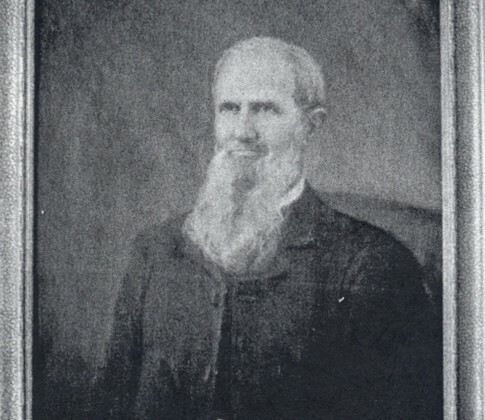 This country preacher who was wonderfully educated in spite of the lack of college courses, was called to be first and only president of the institution, one of two institutions of higher learning in Missouri until 1874 when the college was closed due to adverse financial conditions over the nation as a whole. Very soon after he was made a member of the first committee of the Cumberland Presbyterian church to consider union with the U.S.A. branch, which was consummated five years after his death. Still later he headed the church educational commission which laid the foundations for the present Missouri Valley College. Dr. Black once said, “Without the devoted spirit and unselfish work of Dr. Mitchell, Missouri Valley College would never have had an existence.” After intensive labor by the commission members, Dr. Mitchell alone traveling two-hundred days without compensation in behalf of the new college, M. V. C. was founded with an endowment of $104,381.08, a building fund of $60,000 and a deed to forty acres of land for the campus. The spirit of this work done by Dr. Mitchell has certainly been influential in the history of Missouri Valley and promises more victories for that institution in the future. In paying tribute to this remarkable man yesterday, Dr. Evrard said, “He became a great scholar, though he never had a college course; a great religious thinker and preacher, though he never attended a theological seminary; and he became a great man because he had princely qualities of self command. He was all of these because he was an indefatiguable worker, never idle. He learned to be master of himself.” These words constitute a real tribute to a worthy man. Mrs. Llewellyn Jones, ’02, presented to Missouri Valley College an oil portrait of her illustrious grandfather. In the presentation speech Mrs. Jones gave a very personal and touching insight into the home and private life of Dr. Mitchell, giving intimate glimpses of old-fashioned family reunions, the old family home at Kirksville with its colonial architecture and large flower gardens, and the love this man had for all those surrounding him in the congenial hospitality of the old home. As Mrs. Jones formally presented the portrait the audience stood as two other grandchildren, Mrs. Charles Tooker and Miss Martha Mitchell, unveiled it. Miss Mildred Alice Mitchell, a great granddaughter of the honored man and a future student for Missouri Valley, placed a memorial wreath upon the portrait easel. The presentation was in the name of the three living children of Dr. Mitchell, Mrs. B. P. Fullerton of St. Louis, Mr. Lon S. Mitchell of Kansas City and Mr. Orlando M. Mitchell of St. Louis. In accepting the portrait in behalf of the college, Dr. George P. Baity who heads the board of trustees, spoke of his personal association with Dr. Mitchell and praised him for the way he invested his life so excellently in his home, family, school and church. It was Dr. Mitchell that helped Dr. Baity decide to devote his life to the ministry. Speaking of the work of Rev. Mitchell he said, “Some labor and others enter into their labors,” showing from this the absolute devotion of the man to his task. Following the singing of a hymn and awarding of honors by Dean Clarence L. Miller the benediction was pronounced by Rev. Russell D. D.
At moon a luncheon for old McGee students, graduates and friends of Missouri Valley was held in the dining room of Young Hall, followed by a reception in the parlors of that dormitory. Marshall, Mo. Oct 16 — Missouri Valley college paused today to do honor to its founder, the Rev. J. B. Mitchell, and to accept an oil portrait of him from his children, O. M. Mitchell, Kansas City banker; Lon S. Mitchell, Osceola, Ark., and Mrs. B. P. Fullerton, St. Louis. Mitchell founded McGee college near Macon, the predecessor of Valley, and guided it from its founding in 1853 through the Civil War period. His three children and three grandchildren took active parts in the program. J. Bourne Mitchell, Kansas City grain broker, and Miss Martha Mitchell of Kansas City and Mrs. Llewellyn Jones, Independence, Mo., unveiled the portrait. 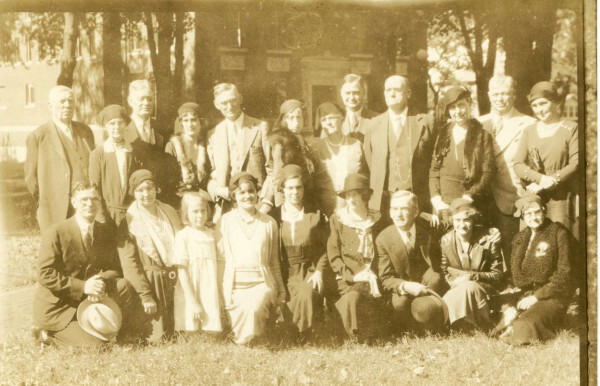 It was received by Dr. G. P. Baity, Kansas City, president of the board of M. V. C. Also taking part in the founder’s day were Mrs. J. W. Lyman, 3312 Holmes street; Mr. and Mrs. William B. Young, 316 West Fifty-sixth street and Mr. and Mrs. R. T. Morrison, West Fifty-ninth street, all of Kansas City. Thank you Mitchell and James! After reading the above I see where my father-in-law, Orlando and Great Aunt Callie got their names. 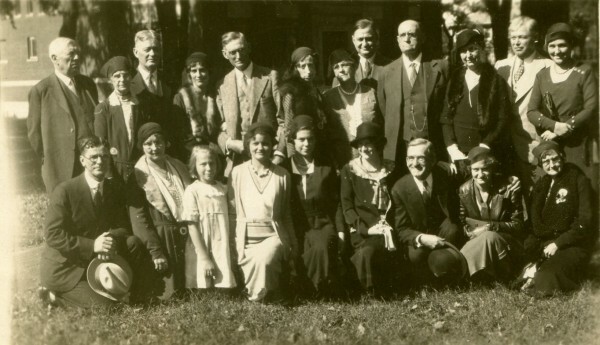 They were grandson and daughter to Henry & Orpha Johnson.